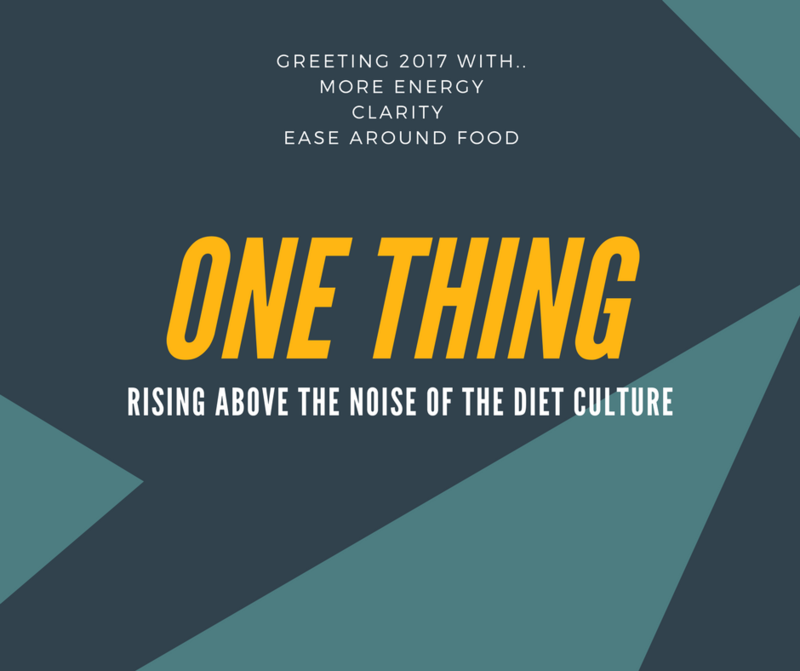 Have you noticed how much noise is in the marketplace about weight loss, healthy eating and exercise this time of year? I find it so distracting and sometimes a little tempting to say, is there another way, an easier way to maintain my weight and take beautiful care of it? Uh no. Because every time I believe that something outside myself is wiser than my body’s feedback, I lose. I know that in the past few years I’ve gotten a lot better at listening, but for me, heeding those signals consistently is my work. AND every time I respond to a full signal, rest instead of push during a workout, eat what I really want the payoff is amazing. It all shows up in better energy, clearer thinking and an ease around food and I’m getting hooked on THOSE feelings. So, I want to challenge you this year, to refine your listening skills and honor your body’s wisdom. For those of us that have used food to soothe feelings and stress or have been chronic dieters this requires a little bit of practice. With all the noise out there, sometimes it is hard to know how to begin. Back to basics and what you have learned so far. Choose one facet of honoring and caring your body that you know is the key to your success. The one area where you may be resisting, the one place where you know but just don’t feel like doing it. Make a commitment, ignore the noise and march yourself into the best year ever with more energy and an amazing well cared for body this year. Can’t find an appointment……just shoot me an email. P.S. If you’ve read this far, you want to know where those ideas came from? From all of my amazing clients that when they calmed down their mind around dieting, and applied one or two things at a time, it all fell into place for them. This is possible for each and every one of you, click that button for an appointment, I’d love to serve you.